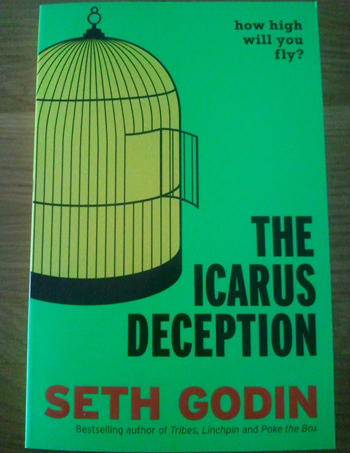 Marketing guru and bestselling author Seth Godin has a fantastic new book out this month called ‘The Icarus Deception‘ and is making a rare appearance in London on Thursday (17th January 2013). [Paul Lancaster] I’ve been subscribed to your blog for the past 5 or 6 years and can honestly say that I’ve read every single daily email. Over time, it feels like your writing has become more personal to me which I know is nonsense as you have hundreds of thousands (millions?) of readers. Has reading your blog for so long warped my mind / brainwashed me into thinking just like you? [Seth Godin] I think the world is changing, and we’re changing with it, which is causing the world to change. All I do is notice things and report back. [Paul Lancaster] I recently took on a great role with the cool sounding title of ‘SEO & Inbound Marketing Specialist’ for Sage One UK. ‘Inbound Marketing‘ is the latest buzz term in marketing but I wondered what you thought of it? Isn’t it just what you’ve been doing for years – i.e. creating content and giving lots of useful stuff away for free (your blog) which builds up trust over time and then leads to a purchase (like when you have a book out)? Whenever you bring a book out I buy it straight away. [Seth Godin] I think inbound marketing is a smart way to describe the current truth, which is that it’s just too expensive to reach out to people who don’t want to hear from you. So inbound pushes the organization to be the sort of organization that is wanted. [Paul Lancaster] You publish a new blog post every day but do you actually write every day? I remember you once wrote that that Stephen King never takes a day off. Are you the same or do you write some blogs in batches and schedule some for publication on a later date? [Paul Lancaster] Is it easier or harder to sell ideas (through your blogs, books and talks) than it is to sell physical products? 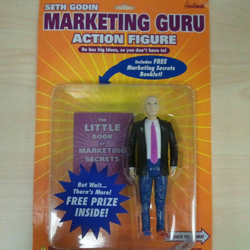 [Seth Godin] The thing about selling ideas is that you need to sell them to a lot more people! [Paul Lancaster] Who inspires you at the moment? Which other bloggers or writers would you recommend that we read? [Seth Godin] I’ve mentioned dozens of people on my blog over the last few months. None of them are getting any dumber, less passionate or less important. [Paul Lancaster] Early on in The Icarus Deception you say that ‘understanding cutting-edge concepts like The Long Tail, The Tipping Point and Purple Cow are worthless if you don’t commit’. Why do you think so many people don’t take action? [Seth Godin] I don’t have much influence at all. All help is self help, and if people are ready to make a change, maybe I can give them a few concepts along the way, but no, I don’t actually control much at all. [Chris Challis] Why do you not allow people to comment on your blog? [Seth Godin] My blog ‘Why I don’t have comments‘ explains it all! [Zeinab Lenton] Our customers are really small businesses (sometimes just one guy or gal) trying to make a living in a tough environment. They’re trying to get more customers and stand out from the crowd. What’s the one bit of advice you’d give them? [Seth Godin] No quick wins. Drip by drip, person by person, people telling friends. [Pedro Stephano] Seth, we know you’re not on Twitter. How do you resist? [Seth Godin] Oh, after the first week, it was easy. Sort of like not snowboarding. [Neilson Watts] How do you grab a prospects’ attention in under 2 seconds? [Seth Godin] I think the art of listening gets better with practice. [Nick Goode] What advice do you give a startup with no marketing knowledge or budget? [Seth Godin] Start face to face, with actual human beings. If you can’t persuade them, don’t go on to step 2 until you’ve got it figured out. [Marc Seery] What is your essential business app (or tool for being productive) and why? 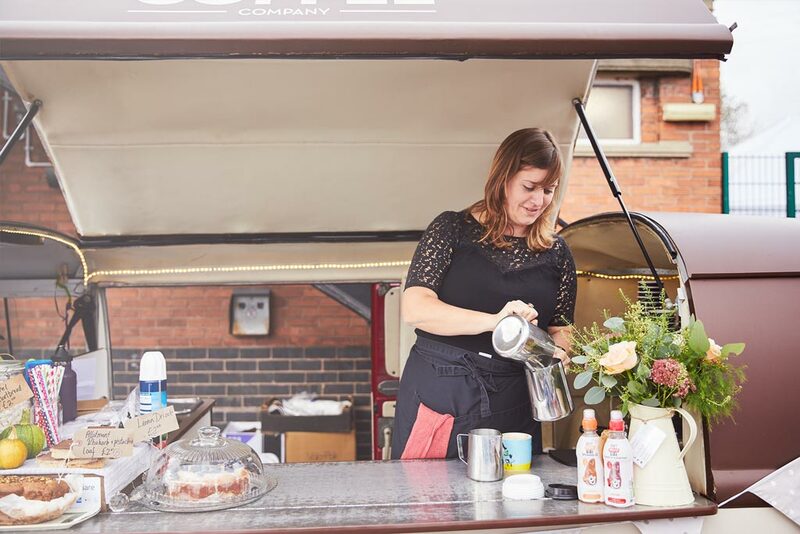 [Trudi Evans] What would be your priority marketing wise if you were starting your first business venture? [Seth Godin] A fabulous product that people really want to talk about. [John Adam] Why do people buy things they don’t need? (And why are (so many) people afraid? [Seth Godin] Need? We have everything we need, pretty much. So all that’s left to buy is ‘want’. And people buy what they want because it drowns out fear, or boredom, or makes us happy. If you’re not familiar with Seth’s work we recommend that you subscribe to his blog and check out his Squidoo page which is full of great videos and information about his work. If you like this interview, feel free to share it with others and let us know who else you’d like us to interview by leaving a comment below. You can also download the first chapter of The Icarus Deception for free from the ChangeThis website.